Photo: Ohlman-Shannon House, ca. 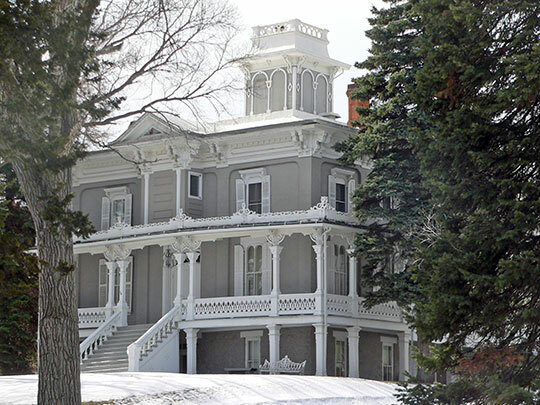 1871, 205 Green Street, Yankton, SD. Listed on the National Register of Historic Places in 1976. Photographed by User:Ammodramus (own work), 2011, [cc-by-1.0 (creativecommons.org/publicdomain/zero/1.0/deed.en)], via Wikimedia Commons, accessed October, 2013. Yankton County administrative offices are located at 321 West 3rd Street, Yankton, SD 57078; phone: 605-260-4400.